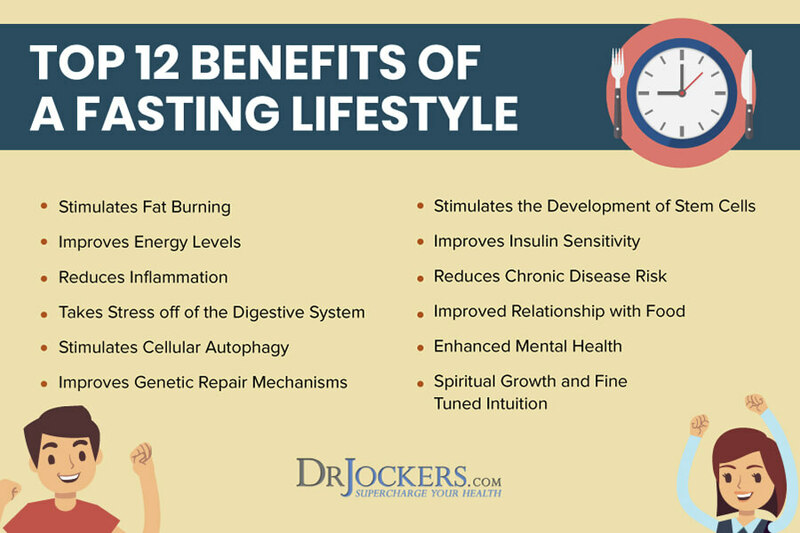 Intermittent and extended fasting are healing strategies that have been used throughout history and have become popular in many health circles today. Many individuals struggle with various symptoms as they begin fasting and certain supplements can help negate these issues. While our ancestors practiced therapeutic fasting without any fasting supplements with great success, it doesn’t mean we cannot take advantage of these technological advancements. I don’t believe or advocate the use of fasting supplements in all cases. However, I have found they are especially helpful for individuals who are either new to fasting or are struggling with serious metabolic dysfunction and chronic disease. This is because the purpose of fasting supplements is to provide a more comfortable and effective fasting experience. The biggest goal for me is get my clients and the individuals I influence to have a good fasting experience because this will motivate them to adopt a fasting lifestyle. I have found that using fasting supplements can be a big player in providing that experience and empowering people to get tremendous health breakthroughs on a fasting lifestyle. When it comes to fasting supplements, it is a debatable topic. For some of the purists, any sort of herb or nutritional compound you consume would theoretically break the fast. However, I believe that it is only supplements that increase the hormone insulin that actually have the physiological effects of breaking the fast. The supplements you wouldn’t take while fasting would include anything with glucose or sugar in it. Especially if it has more than 20 calories. A very minimal amount would go virtually unnoticed by the body but once you get beyond 3-4 grams you would have some sort of insulinogenic effect. Additionally, you would want to avoid any supplements that you would normally take with meals. This would include things like digestive enzymes, stomach acid and bile support, fish oils, zinc, iron and multi-vitamins. There are also certain herbs that we tend to absorb best when taken with meals. This would include things like turmeric and ginger. You could take these herbs while fasting, but you wouldn’t absorb them as well. Supplements that you would normally not take with meals are fine to take while fasting. This would include things like vitamin C, B complex vitamins, chelated forms of magnesium, probiotics, adaptogenic herbs, systemic enzymes, activated charcoal, anti-microbial herbs, etc. For most people, taking these while fasting will be totally fine and may help the individual have a better fasting experience. However, for some individuals, they may have a sensitivity to one of the herbs or compounds that causes a stress response in the body. If you notice any of these changes, then I would recommend avoiding that supplement while fasting. It is quite possible the supplement may not be good for you all together, so you can retest it by taking it when you aren’t fasting and observe how you feel. 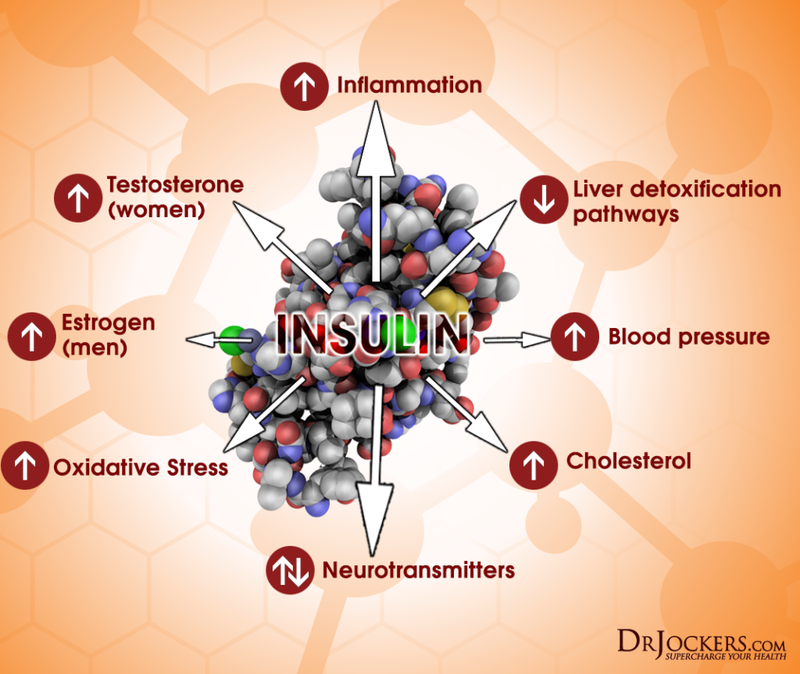 There are dozens of other things insulin does that I am leaving out including some really good things like converting inactive thyroid hormone (T4) into active thyroid hormone (T3). One of the main goals of fasting is to suppress insulin so we can reduce inflammation, stimulate fat burning, ketogenesis and autophagy. While you could take a wide variety of supplements while fasting, I believe there are some that will do you much better than others. When you are fasting, the goal is to create a partial nutritional deficiency. This seems counter intuitive because we need nutrients to produce cellular energy. However, the body has a backup system, called autophagy, for getting these nutrients and that is what we are trying to tap into. By having lower levels of nutrients, the body switches on certain metabolic pathways such as AMP-K, that stimulate cellular autophagy (1). During autophagy, the body breaks down older cellular components and uses the raw materials to fuel healthy cells. These raw materials include every vital nutrient we need to thrive. If our goal is to stimulate autophagy, which is one of the great benefits of fasting, it is to our advantage not to take things like CoQ10, B vitamins, multi-vitamins, etc. 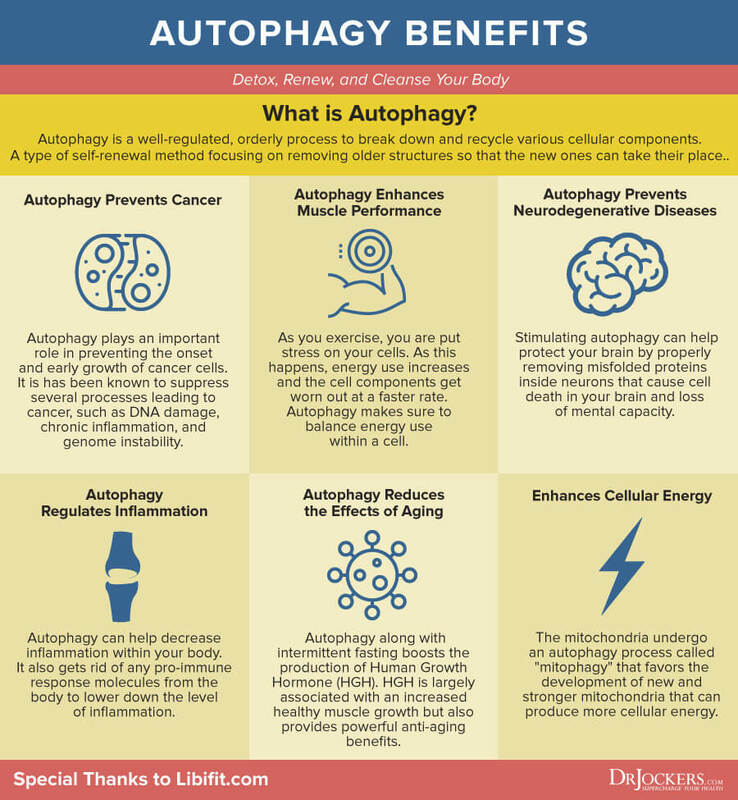 However, certain supplements may reduce autophagy but be used to help support someone as they begin fasting so they can experience fewer problematic symptoms. That is the next area we will explore in this article. 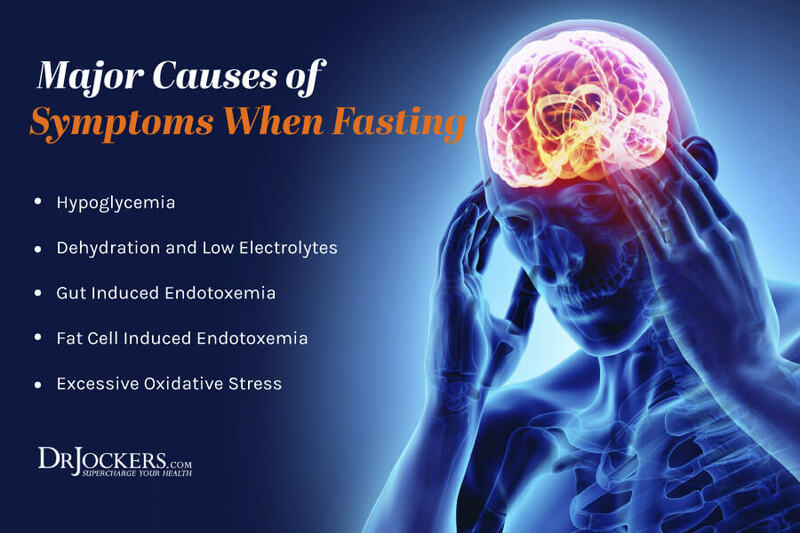 When you are fasting, the body has to make a number of metabolic adaptations and this is where most of the symptoms occur. Our blood sugar drops and we may not be adapted to using our own endogenous ketone production for energy. This can lead us to feeling tired, weak, experiencing headaches, cravings, mood changes and nausea. Additionally, many of these same symptoms and others like heart palpitations, leg cramps and anxiety can be related to low electrolyte levels and possibly dehydration. We naturally lose key electrolytes such as sodium when we fast due to the lowered insulin levels. I always recommend adding in good salts such as Redmond’s real salt and just take a pinch every few hours to keep your electrolyte levels up. We can also experience symptoms that are associated with disruption in our gut microbiome. As we starve out the microorganisms, many of them die off and release endotoxins. Endotoxins are toxic metabolites produced within our body or released from cells within our body. If these endotoxins are not moved through our drainage pathways, they can cause inflammation that impacts other areas of the body. Finally, the body stores environmental toxins in our fat cells. As we fast, we use the fat stores for energy and release these toxins into circulation. Having binders and powerful anti-oxidants on board can help the body to get rid of these toxins with minimal stress on the body. Hypoglycemic responses are a normal part of fasting and for the most part, should be expected. The brain can use both glucose and ketones for fuel but until it has adapted to using ketones it views a lower blood sugar level as a potentially fatal problem. The main issue with hypoglycemia is brain cell death due to lack of cellular energy production and excessive oxidative stress. This can lead to dizziness, fatigue, brain fog, headaches, mood changes, anxiety, cravings and insomnia. Some have more extreme hypoglycemic responses than others and the more keto adapted and metabolically flexible you are before beginning your fast, the better you will feel as you through the fast. When someone is struggling or is concerned about struggling with hypoglycemic issues when fasting, I will use two or three major supplements. These include adaptogenic herbs or mushrooms, exogenous ketones and magnesium. Adaptogens help the body to adjust and adapt to stress. These herbs and mushrooms have adapted to extreme environmental stressors and have developed unique compounds within them that pass this same biological adaptability on to us when we consume them. 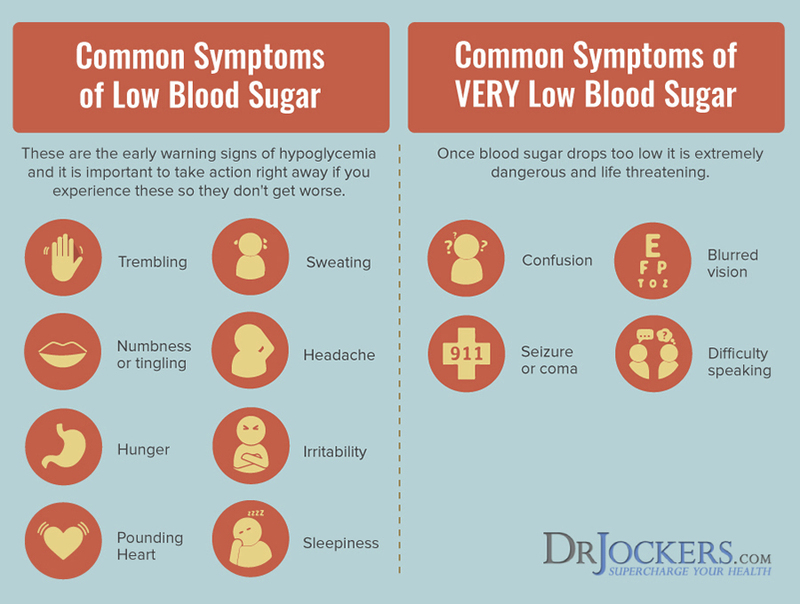 Low blood sugar is a major stressor on the body and these powerful herbal compounds help to regulate that and bring our blood sugar to a healthy balance so we experience less of these symptoms. Adaptogens do a great job of working on the brain’s communication with the adrenals to regulate the stress response. This system is called the Hypothalamic-Pituitary-Adrenal (HPA) axis. When we have lower blood sugar levels, we produce more cortisol, which is a mineralocorticoid that elevates blood sugar levels. This is a normal response, however, some individuals have poor cortisol sensitivity to begin with and they may over produce or under produce this stress hormone. Adaptogens help support and modulate this response so it is appropriate and we feel good. 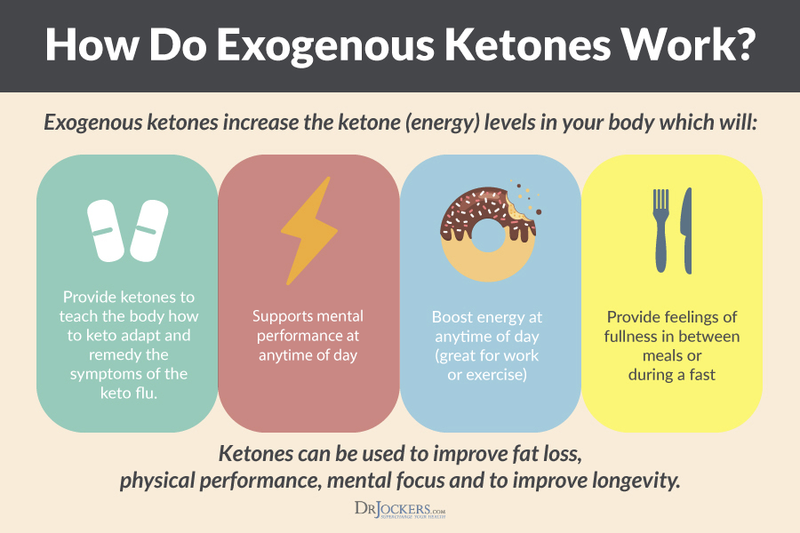 Exogenous ketones mimic the bodies own production of ketones and can be used to help teach the body to adapt to using ketones as a fuel source quicker. The body has to see ketones in the system for a period of time before it becomes efficient at using them as an energy source. By providing ketones to the body, we have an immediate fuel source to flood the brain cells so they can produce the energy they need to function optimally. In addition, ketones have been shown to down regulate the neuro inflammation and enhance brain derived neurotropic growth factors (BDNF) for sharper cognition (2, 3). Magnesium is one of the most abundant minerals in the body and is used in over 300 different physiological processes. When we are under stress, such as when we are fasting and our blood sugar drops, we use up more magnesium. Magnesium deficiency symptoms are almost identical to hypoglycemic symptoms and there is often a cross over between them. The hypoglycemia experience is much worse when we are also deficient in magnesium. If you are experiencing hypoglycemic symptoms, taking in extra magnesium can be extremely helpful. Ionic magnesium is great but it needs a carrier to get into the blood stream. That carrier can be as a ketone salt from an exogenous ketone or from a chelated amino acid form. Certain forms of chelated magnesium are better than others. Some great forms to use include magnesium malate, citrate, glycinate, orotate or taurate. 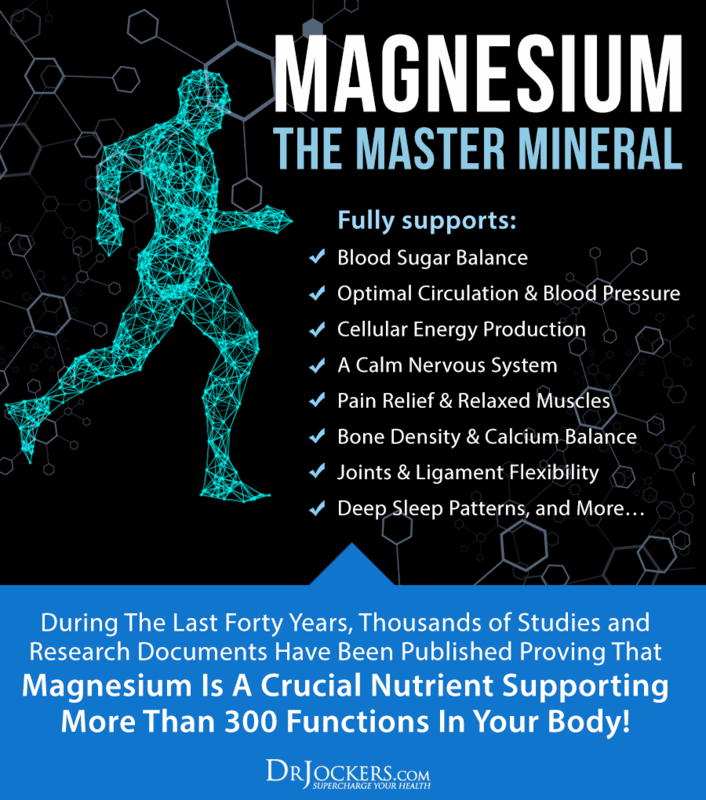 The best form for crossing the blood brain barrier and improving neurological adaption to stress and hypoglycemia is magnesium L-threonate in a form called Magtein. We have the Magtein in our Brain Calm Magnesium along with magnesium glycinate which is great for reducing muscle cramping and improving energy levels during the day. These magnesium products also help to keep the bowels moving well which can be a major issue while fasting. When your bowels slow down…it increases the amount of microbiome related endotoxic damage. For individuals with constipation, I will have them dose up on magnesium until they either have consistent bowel movements or have loose stools. If you experience loose stools, we back off of the magnesium until they regulate and then find a dosage that keeps things moving with good bowel form. The combination of adaptogenic herbs along with key electrolytes like magnesium and exogenous ketones is a fantastic support for the brain and body as they adapt to the low blood sugar environment that comes with fasting. The produce I use is called Keto Edge, which is an exogenous ketone supplement with electrolytes and MCT oil powder to enhance the rise in ketones and make it longer lasting. In addition, Keto Edge has 6 powerful adaptogenic mushrooms including reishi, cordyceps, lion’s mane and others to support the body’s ability to adapt to stress. Clinically, I will have my clients use the Keto Edge supplement for their first fasting experience to make it more comfortable. This is very important for the individual as they will have a more positive view of fasting if they have a good overall initial experience. Overtime, I try to help my patients incorporate pure water fasting without using a product like this to get the highest level of autophagy. However, in the beginning I have found this to be extremely helpful for so many. 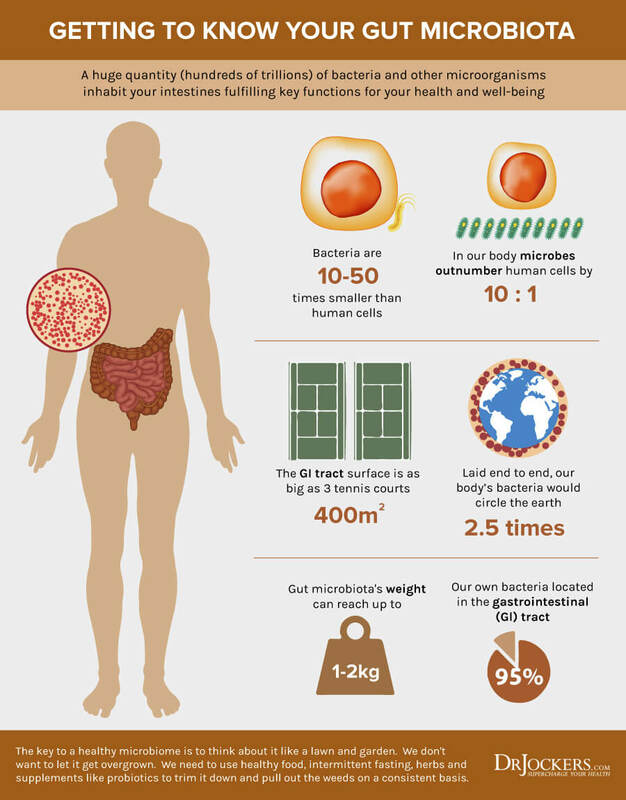 Your gut microbiome is the collection of trillions of various microorganisms in your digestive system. This includes different forms of bacteria, yeast, amoeba, viruses, etc. When the microbiome has good balance, it helps to reduce toxins in the body and produce B vitamins and other nutrients necessary for the formation of cellular energy. However, when the biome is out of balance, certain organisms when they are overgrown will steal valuable nutrients from our diet and release toxic metabolites that damage the body. Unfortunately, most people in society have very poor balance in their microbiome and it is a key player in the symptoms and disease processes they are experiencing. Fasting is a way of reshaping the microbiome and in so doing it helps to reduce both good and bad microbial organisms. Overall, this tends to have a very positive effect on the individual’s health. This is because we live in a world where we have unlimited supply of food and our frequent eating habits favor an overgrowth of the microbiome. This overgrowth of both good and bad organisms puts tension on our immune system and drainage pathways (4). This tension is termed, the “microbial load.” Intermittent fasting and periodic extended fasting helps to reduce this microbial load to a healthy level. Most people don’t understand how the microbiome works and they believe that the goal is to constantly bring in more healthy bacteria. Unfortunately, that idea alone can cause a lot more problems. The best way to view the microbiome is using the analogy of a grassy field. In order for it to be kept under control you need to regularly mow, cut and trim the grass. Otherwise it grows out of control. Fasting is a great way to mow the lawn and reduce the overall microbial load in the body. This helps to take stress off of the immune system and allows our body to have better immune balance and lower levels of inflammation. One reason why a high microbial load can be a major problem is that microbes produce compounds that can trigger inflammation (5). Pathogenic microbes produce much more of these hazardous compounds but even good microbes produce low levels of them. As we fast, the microbes die-off and we can get a larger release of these compounds in a short period of time. For some individuals, symptoms such as skin rashes, headaches, increased body odor, brain fog and fatigue can occur. I personally notice this when I don’t move my bowels well early into a fast. The better I move my bowels when I am intermittent fasting and at least the first 2 days of an extended fast, the better I feel. The challenge here is that the act of chewing and eating itself helps to stimulate the peristaltic or muscle activity of the bowels. When you are fasting, you get reduced peristaltic activity in the gut. Certain fasting supplements can be extremely helpful to get things moving well. The fasting supplements that can help reduce gut mediated endotoxins include things to help facilitate bowel movements and binders to grab up any sort of endotoxins in the gut and in circulation. My favorite supplements for this include either an herbal based colon cleanser such as our Bowel Mover or a non-herbal oxygen-based colon cleanser called Oxy-Powder. Both will work and I tend to slightly favor the Oxy-Powder during the fast as some individuals may have a sensitivity to one or more of the herbs in the Bowel Mover. For binding the endotoxins, several things will work. You can do traditional binders such as activated charcoal, Diatomaceous Earth or Bentonite clay. These binders are great at grabbing things in the gut but they won’t impact endotoxins that are making their way into circulation. For individuals who have more problems with endotoxins in circulation, I recommend BioToxin Binder which is a unique formulation with fulvic and humic compounds that help bind in both the gut, in circulation and even go into cells to grab toxic debris. When our bodies are unable to eliminate toxins, they end up storing them in our fat cells. This would include the various chemicals we take in from our air, water and food. 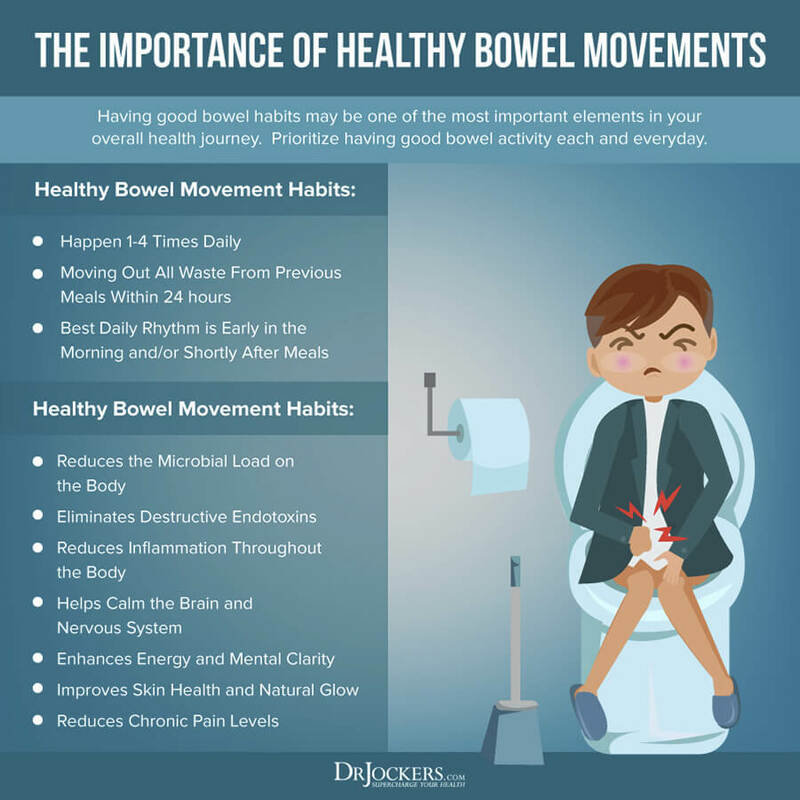 If you are healthy, your body is eliminating a majority of them on a daily basis through our drainage pathways of respiration, perspiration, urination and defecation. Unfortunately, many people have blocked up their drainage pathways due to poor lifestyle, chronic stress, nutrient deficiencies, etc. and have stored a large load of these toxins in their fat cells. When we fast, our insulin levels drop and we begin breaking down these fat cells to produce energy. As this is happening, we may liberate a high number of these chemicals. If our drainage pathways are already working slowly, than these fat cell derived endotoxins are going to cause some major damage resulting in a high degree of inflammation and oxidative stress. The two big things I like to use to reduce this is the BioToxin Binder which I discussed in the section above and the Molecular Hydrogen which I discuss in more detail below. Another product that can be especially helpful during fasting is molecular hydrogen. When the body has an increase in stress and toxicity, there is a major release of unpaired and unstable electrons that cause oxidation or rusting to the cells and tissues of the body. Hydrogen is the smallest gas molecule to act as an anti-oxidant by donating an electron in order to stabilize the reckless free radical. Because of its tiny molecular size, hydrogen can penetrate into virtually every organ and cell in the body and quench the oxidation process without any negative side effects (6). In particular, the strongest oxidative stress mediators include hydroxyl radicals (OH-) and peroxynitrate (ONOO-). These agents do their dirty work on the cell membrane, mitochondrial membrane and cause damage and mutation to DNA. Studies have shown that molecular hydrogen powerfully quenches these oxidative stress mediators and protects against cellular, mitochondrial and genetic damage (7, 8). 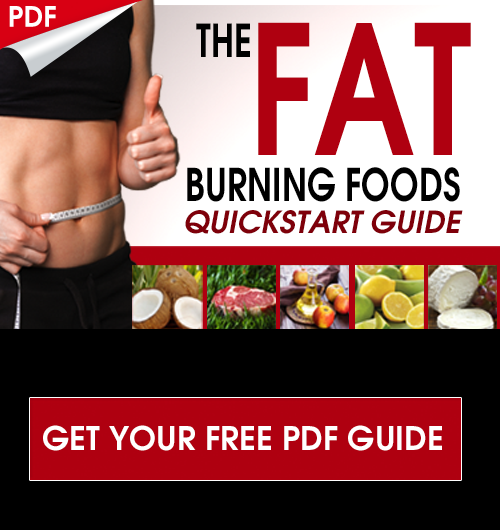 This is very important for highly toxic individuals as they can liberate a lot of chemicals from fat cells that are broken down while they fast. These toxic chemicals are highly reactive free radicals that have the potential to cause significant damage to the cells and tissues they collide with. If you are battling a chronic disease, I would highly encourage you to use molecular hydrogen as one of your fasting supplements or as a regular supplement to use. We offer it in a liquid dropper that you easily put into water and drink. Traditional fasting has been practiced since the beginning of mankind and has been used therapeutically for thousands of years. Our ancestors didn’t have access to key supplements to help them improve the comfortability and success of their fasting regimen. In today’s culture, however, we regularly use technological advancements to improve our quality of life. None of us need these advancements, we can live our lives without automobiles or cell phones, but they offer us great advantages in our modern culture. We should view fasting in the same light in that you can get fantastic benefits from fasting without any supplements. The purists may say that is “the only way to do a true fast.” However, my perspective is that taking fasting supplements to improve the fasting experience is a great tool to help many individuals. As long as the supplements help to improve your experience with fasting than I would say that that is a fantastic thing. In addition, people are sick and have accumulated a tremendous allostatic or disease promoting load on their bodily systems. Fasting strategies along with high quality supplementation in combination can be a synergistic punch to help build positive healing momentum in the body. To try to simplify things, I have created 2 unique fasting support packs. The Fasting Stress Support pack includes the Keto Edge, Cortisol Defense and Brain Calm Magnesium. This is great for those who are new to fasting and individuals who struggle with high cortisol and hypoglycemia when they fast. 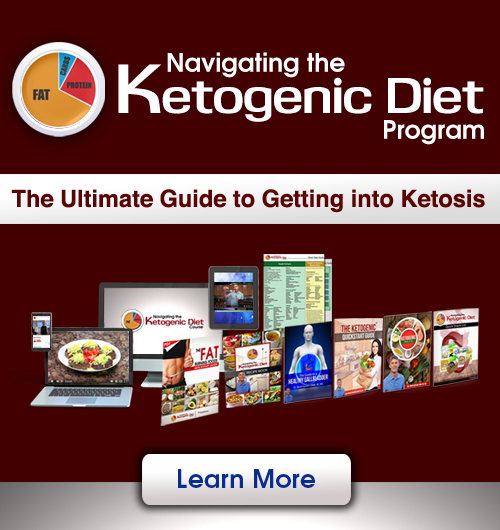 The recommendations for this are to take 1 scoop of the Keto Edge in water during the challenging phases of your fast when you begin to feel the symptoms coming on. I also recommend doing 1 cap of the Cortisol Defense in the morning, at mid-day or early afternoon and 1-2 capsules before bed to help improve sleep quality. The Brain Calm magnesium unsweetened powder can be used along with the Keto Edge and also taken before bed to improve sleep quality. As an added bonus, the magnesium will also help with bowel motility. We priced this pack out in order to provide over 25% savings off of the regular retail rate. The Fasting Detox Support pack is designed to help individuals who struggle with endotoxemia induced inflammation on their fast. This includes Oxy-Powder, BioToxin Binder and Echo H2 Drops. This product pack is exceptional for helping improve bowel motility and colon cleansing while binding to endotoxic debris that is in circulation. The molecular hydrogen protects the cells, mitochondria and DNA from oxidative stress and supports the process of autophagy for optimal cellular cleansing. We priced this pack out in order to provide over 20% savings off of the regular retail rate. This article states that it is OK and not OK to take B vitamins when fasting. Could you please tell me which is correct? This is a bit confusing. Yes it is ok as they are water soluble, don’t need to be taken with food for good absorption and do not cause digestive issues. However, I typically don’t recommend them unless someone is very deficient. Thank you for the valuable information. The great graphics help a lot. Great to hear that Phyllis!! There are several spelling mistakes, and a content mistake in the Libifit.com cartoon, where it says: Autophagy Reduces Anti-Aging Effects. The opposite is true – autophagy enhances anti-aging! Thanks Rose, we will look into this and make changes! Great, informative article. I have been losing 2 lbs a day on my regimen, ACV with a half teaspoon of aluminum free baking soda mixed into purified water, two droppers of Shilagit and the Oxy Powder for the first day only. I use magnesium oil, not an oral supplement. I have a mycoplasma problem so I take a little borax in my water during the day, but no other supplements, minerals or vitamins. Two days in I am free of joint pain, after five days I feel fantastic. I never lost any weight until I tried what you recommend, so you’re onto something. This is great! Love hearing that and it is obviously working well for you! Very enlightening–thank you! A good portion of my fixed income goes into nutritional supplements, so I see this article is crucial for launching a healthier future. For the past six months the keto I.F. has worked very well, helping me to drop 23 lbs. to a normal weight for my age. However, any fast longer than 2 days has left me with advanced hypoglycemic symptoms. I’m at the 6-month mark with the keto I.F. and this article is just the encouragement needed to try pushing on into longer fasts. (BTW, you might want to check your utterly confused spelling for D.E.–the correct spelling is “diatomaceous earth.”) Thanks for all you do for us! Thanks for sharing Sherril!! We will check the spelling on that! Blessings to you! Hi! Thank you for this information. I’m on day 2 of a fast and wondering if a 30 calorie antioxidant drink with 6 gram of fructose would give me the insulin release that I’m trying to avoid? I’ve been diagnosed with Hyper-Thyroidism and am taking 30 mm of Methimazole. Is it ok to do intermittent fast, to later move in to 2-3 days fast? How would it affect me considering that I’m taking medications? I think it would be helpful Kris, but you will need to discuss this with your doctor! Blessings! How much harm does a small tangerine do to a fast? Actually, I generally have one meal a day so it’s like a 23.5 hour fast. But sometimes I add in a tangerine since they are perishable. I would recommend avoiding the tangerine. You are still getting a lot of benefit, but avoiding the tangerine would take it to another level. Enjoy the tangerine with your meal instead of eating it during your fasting period. please. You priced this pack out in order to provide over 20% savings off the regular retail rate. Working with the Australia Dollar, I find this most helpful. I am using this channel of communication to secure the above deal. Please contact me with Method of payment you require; Postage to Queensland, Australia. Thanks again, for your support. My husband and I are both type 2 diabetics. We tried a keto diet which I found helpful, but after the 2nd day, his blood sugar was so elevated, 11.5 (after a bacon and eggs meal) he stopped the diet. Do some people have a biochemical reaction that causes a rise in blood sugar as an emergency response to low carb intake? Should he avoid this diet?